Chiang Mai. My first time in Thailand. Coming from minus seven degrees in Romania the first thing I did upon exiting the airport was to wait for a second and enjoy those lovely 20 degrees Celsius at 6:10 in the morning. I considered going by foot till the hotel since it is only a few kilometers away from the airport but I was a bit tired after a long flight so I decided to hop on a cab and enjoy the short ride. For my first trip in Thailand I have selected two hotels. One in Chiang Mai, that I will review today, and one in Bangkok which will be reviewed at a later date. In Chiang Mai unlike Bangkok I used hotels.com to make the reservation, maybe for the first time finding a better price on this establishment than I found on agoda.com. Hotel Roseate in Chiang Mai can be found at 24/1, 88 Sriphum Road and below you can find my review for the hotel. Location: If you look at Chiang Mai’s map you will notice a square, the Old City, surrounded by water, the place all tourists use as a starting point when exploring Chiang Mai. While the Old City is not large, most tourists opt for accommodation inside it or very close to it and here Roseate Hotel gets extra points. 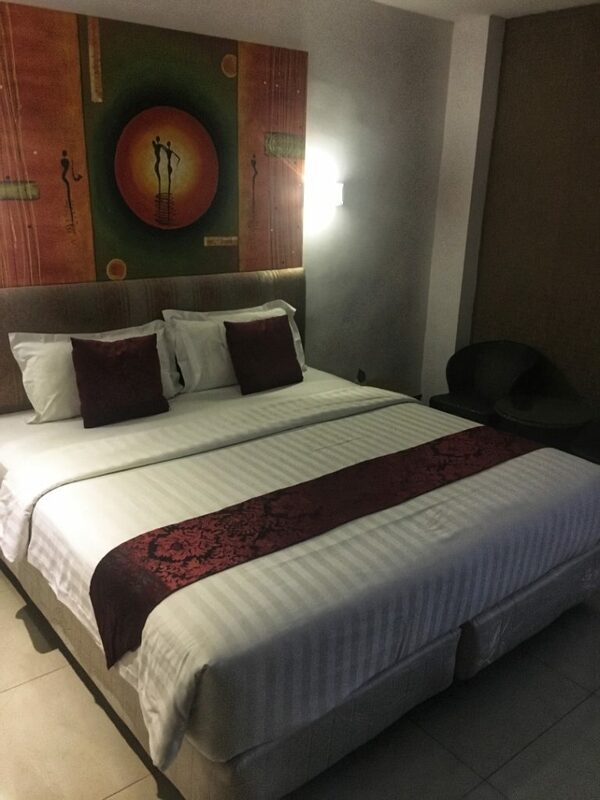 Sriphum Road is situated on the northern side of the Old City and the hotel is conveniently located so that travelers can easily reach any point in the Old City, by foot, fast. For example Three Kings Monument is 700 meters away, Wat Chedi Luang is 1.3 kilometers away, Phra Singh Temple is 1.6 kilometers away, Tha Phae Gate is 1.4 kilometers away and The Saturday Night Market, situated outside the Old City, is 2.2 kilometers away. Chiang Mai International is only 6.4 kilometers away so you can easily reach the airport starting from the hotel. Since Chiang Mai boasts over 300 temples you can rest assured you will never be too far away from a beautiful construction at any moment in time. I found the hotel to be a great base for starting and exploring Chiang Mai, each morning spent there my feet taking me into another direction to see new and beautiful things. Staff: Great, simply great. Helpful since the moment I arrived at the hotel they helped me with my luggage, finding an empty room so I could check in earlier, info about the city, helped me print my plane tickets and answered my questions for directions each time I needed something. Also I was helped with my transportation to the airport, the morning I left for Bangkok, so I am really happy with the staff here. Always smiling and pleasant the staff gets a big plus from me. Room: very clean and big. Daily cleaned, fresh towels supplied it was really pleasant. 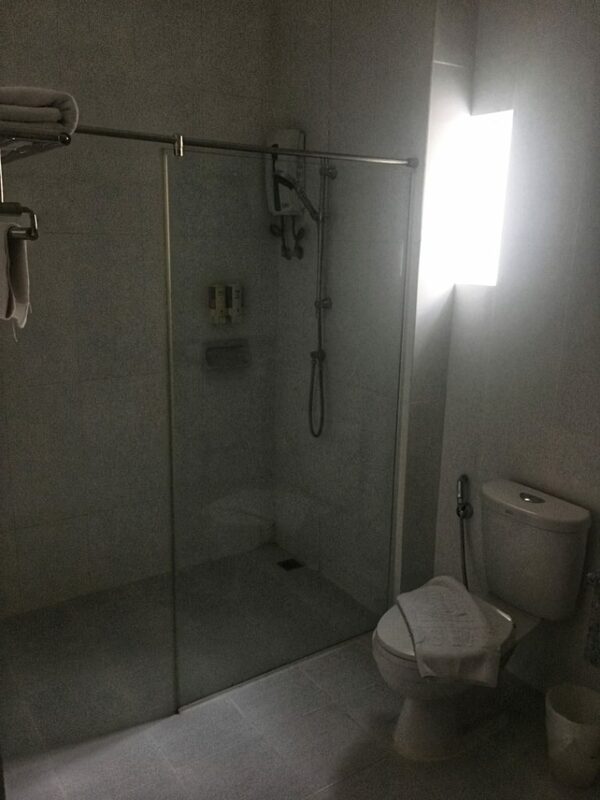 The bathroom was also big and clean with a shower and I never had any problems with the hot water. I did not eat breakfast at the hotel so I can’t speak in relation to this subject but each morning as I passed thru the breakfast room I could see it packed with people. I preferred to eat all my food in tiny local shops or directly in the street but this will be covered in a later article. I am really happy with my time spent at the Roseate Hotel. I have no complaints, the staff was great and the room was big and clean so overall a great first experience in Thailand. If again in Chiang Mai I would definitely book here again.